'I offer Thee Every cloud that ever swept O'er the skies and broke and wept In rain, and with the flowerlets slept. My King. Each communicant praying Every angel staying Before Thy throne to sing. Adoramus Te This extract from the ancient Irish prayer, Glorificamus Te, beautifully captures both the Celtic peoples' devotion to the Psalter, and their desire to express their love for God in every situation. There is much to gain from their approach to worship. 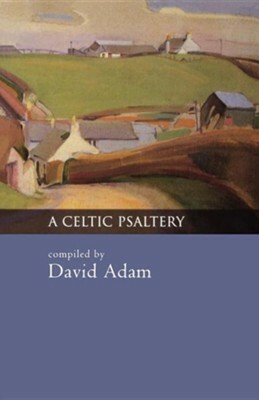 David Adam's wonderful compilation celebrates the enduring Celtic dreams of Creation, Protection, Glory, Guidance and Praising God, through songs and poems that have enriched his own private devotions and public ministry. I'm the author/artist and I want to review A Celtic Psaltery.